New information about the energy output of the sun appears to contradict the claim, made by climate skeptics, that the sun is responsible for global warming. That idea relied on apparent evidence showing a rise in solar activity since 1800. But newly revised data, published in July, suggests instead that our yardstick of solar activity was warped. Today scientists observe the sun 24 hours a day using satellites in deep space and solar telescopes on the ground. However, for historical data from before the 1980s, our best information on the activity of the sun has come from counting sunspots, a paper-and-pencil statistic determined by human eyes. Sunspots are peculiar magnetic storms on the sun's surface that appear like dark spots in comparison to the blinding gas around them. 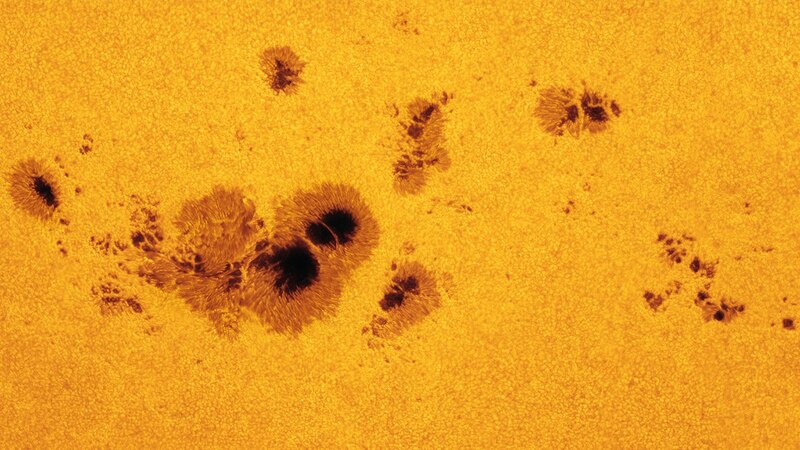 Large sunspots can be seen with the naked eye (although that's not advisable, since you could damage your eye). But scientific observations had to await the invention of the telescope in the early 1600s. Galileo, the first person to turn a telescope toward the sky, made many careful drawings of the sun with sunspots on it. Sunspot counting was formalized in the 1840s by a Swiss astronomer named Rudolf Wolf, who began tracking them daily at the Zurich Observatory. Scientists had just discovered the sun's 11-year cycle in which sunspot activity waxes and wanes. Wolf saw the need for a long and consistent record of them, and extended the record back in time using earlier sunspot reports. Counting groups of sunspots as ten and each individual spot as one, he devised a simple number that he could easily update every day the sun was out. The Wolf Sunspot Number, determined every day since Wolf's time by a worldwide group of astronomers, has become a fundamental tool of climate science. Extending from the first telescope observations in 1610 to today, it's the longest set of solar data in science. It turns out sunspots are a fairly good index of the sun's total energy output, and sunspot data are used for many purposes. Sunspot counts are a gauge of the sun's long-term behavior, the speed of the solar wind in outer space and the strength of the sun's magnetic field -- a set of natural activities summed up as space weather. The sun's energy output also affects the height of the atmosphere. An active sun heats up and expands the uppermost atmosphere, affecting low-flying satellites. The U.S. Air Force, which manages a fleet of satellites, is among the federal agencies keenly interested in all these topics. In researching Earth's climate, sunspot numbers are the best tool we have to help correlate modern satellite data with other forms of evidence from the ancient and geological past. Some climate scientists have used different versions of the sunspot record to argue that the sun has been growing more active since around 1800, entering what they call a Solar Grand Maximum. Skeptics of climate change have seized on this idea to downplay the role of greenhouse gases in global warming, a stand contrary to the universal consensus of the scientific community. But what if the sunspot number is at fault? In July, a set of solar researchers issued a corrected sunspot record that erases the very concept of a Solar Grand Maximum. Instead the sun appears to have had a steady procession of 11-year cycles, modulated by longer cycles of roughly a century. After Wolf died in 1893, his successors at the Zurich Observatory continued counting the Wolf Sunspot Number. Today Sergio Cortesi, the fifth in line, carries on with this task at the Locarno Observatory, as he has since 1957. But like any observation that depends on human perceptions, the record collects subtle errors that must be detected and then corrected. 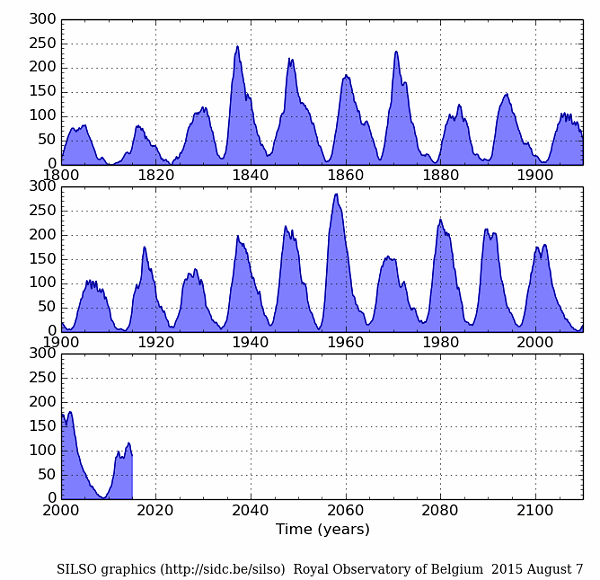 Today the sunspot number is overseen by Sunspot Index and Long-term Solar Observations (SILSO), a group at the Royal Observatory of Belgium. SILSO relies on a network of about 60 observers whose observations are carefully compared to Cortesi's at the Locarno Observatory. The push to clean up the record started when researchers revisited Wolf's original data, adding thousands of observations that Wolf had not seen. For instance, Wolf had ignored much of the English-language literature. As they delved into the details, they uncovered enough errors and inconsistencies that it became clear a thorough housecleaning of the data was in order. The research community gets nervous when someone tries to change one of its fundamental tools, like the location of the Prime Meridian or the geological time scale. Consensus can be slow. Stanford University astrophysicist Leif Svalgaard has been a steady force behind reforming the sunspot number, bringing a task force of his scientific peers together at annual conferences for the last five years. Svalgaard argues that the "daisy chain" of observers connecting Wolf to Cortesi is prone to accumulating error. For example, in a review of more than 1,000 solar drawings made by Johann Staudacher between 1749 and 1796, he found Wolf had undercounted the number of sunspot groups by 25 percent. 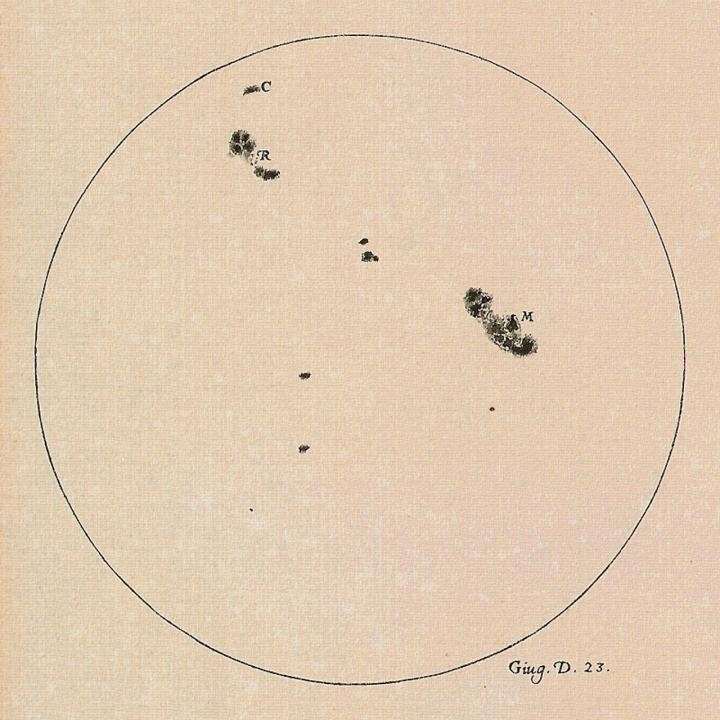 In making a fresh sunspot record, SILSO established a set of the most trustworthy "backbone" observers, those with long records and consistent techniques. And in July, SILSO formally ended the original sunspot number series and issued what it calls Sunspot Number version 2.0. A special issue of the journal Solar Physics is in the works that will include dozens of papers, all properly peer-reviewed, to cement this step in scientific concrete.